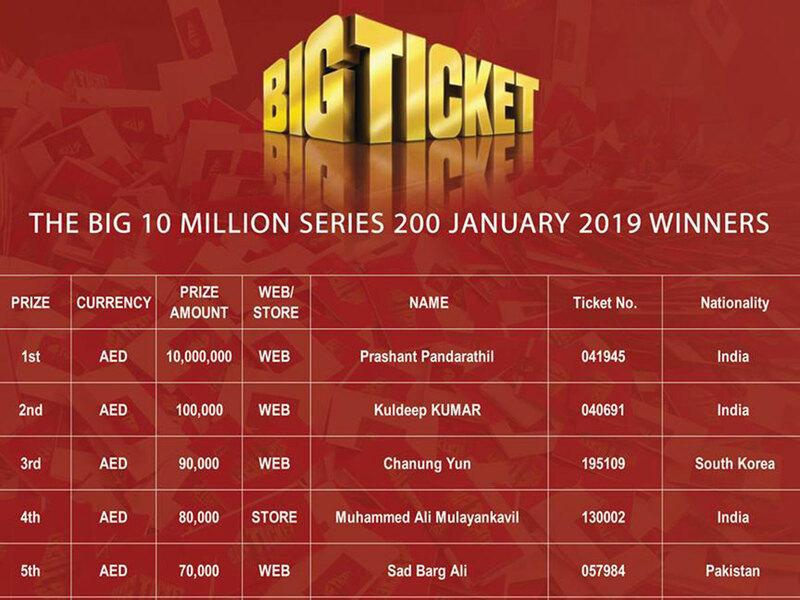 Abu Dhabi: An Indian expatriate became the new multimillionaire of Big Ticket raffles after winning Dh10 million in the latest Big Ticket draw in Abu Dhabi on Sunday. Prashanth Pandarathil's winning ticket number 041945. In January, another Indian, Sarath Purushothaman, who is based in Dubai, was awarded with a whopping Dh15 million, the highest prize ever being given away by Big Ticket. These tickets can be purchased online or at Abu Dhabi International Airport, Al Ain Duty Free and City Terminal Abu Dhabi. Tickets remain at their usual price of just Dh500, and if you buy two tickets one ticket is given for free under buy-one-get-one free scheme.